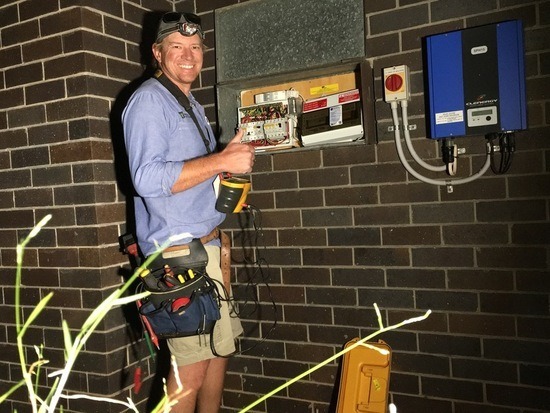 If you have a house or apartment in Brisbane CBD you need an expert electrician. Just-In Time Electrical has been working in the local area for the last 10yrs. We run a full Emergency electician service that is available 24/7, 365 days a year. So if you have lost power or lights in your house or business call us first we can be there quick and get your power restored. If you want to check for local power issues in your area visit the Energex website and put in your post code. Their site gets updated every 15 mins so you will be kept up to date with local power outages in your area. So you’ve got up early jumped in the shower and got a nasty shock – NO HOT WATER! Don’t worry we are on call 24/7 to help you out. First go to the hot water system and check the hot water outlet pipe if that is cold and you don’t think you have used all you hot water yet then chances are you have blown and element of have a faulty thermostat. If the pipe is hot it could be the mixing valve that is faulty – this is a plumbing issue but feel free to call us and ask for some advice if you are unsure. So you’ve found you have a blown fuse, be very careful fuses and old boards can be very hazardous. If at any time you don’t feel competent with what you are doing stop straight away and call an Emergency Electrician. Turn the power off at the main switch, remove blown fuse holder and replace fuse wire, being sure to replace it with the same size wire. Once completed re-insert fuse holder and turn on power. If it blows again you may have a fault in an appliance or wiring. Go though the premises and unplug all items and try replacing the fuse again. If the problem persists contact you local electrician Just-In Time Electrical. Once power is restored always check the operation of the safety switch one final time by pushing the test button. This is when it is important to be vigilant – electricity can kill and it is hard without the correct tools to see or detect it. If you see fallen power lines that belong to the Energex network ensure nobody goes close and call Energex immediately on 131962. If the power lines are on your property call Just-In Time Electrical for a fast response.